The abolition of wage labour is central to anarchist communism. With distribution of wealth being based on self-determined needs, people will be free to engage in whatever activities they find most fulfilling and will no longer have to engage in work for which they have neither the temperament nor the aptitude. Anarchist communists argue that there is no valid way of measuring the value of any one person’s economic contributions because all wealth is a collective product of current and preceding generations. Anarchist communists argue that any economic system based on wage labour and private property will require a coercive state apparatus to enforce property rights and to maintain the unequal economic relationships that will inevitably arise. Well known anarchist communists include Peter, or Piotr, Kropotkin (Russia), Errico Malatesta (Italy) and Nestor Makhno (Ukraine). Kropotkin is often seen as the most important theorist of anarchist communism, outlining his economic ideas in books The Conquest of Bread and Fields, Factories and Workshops. Kropotkin felt co-operation to be more beneficial than competition, arguing in Mutual Aid: A Factor of Evolution that this was illustrated in nature. Anarchist communist ideas were very influential in the introduction of anarchism to Japan through the efforts of Kôtoku Shûsui in the early 1900s who corresponded with Kropotkin and translated his works. Alexander Berkman and Emma Goldman (who were both deported from USA in 1919) became important proponents of ‘Communist anarchism’ and became especially critical of Bolshevism after they discovered its devastating reality first-hand in Russia, and after the Red Army’s crushing of the Kronstadt uprising. They in turn had been influenced by German-born émigrée to the USA, Johann Most, who had earlier helped bring anarchist communist thought to Britain though his contact with Frank Kitz in London around 1880 (see Anarchist Communism in Britain for a full historical account). 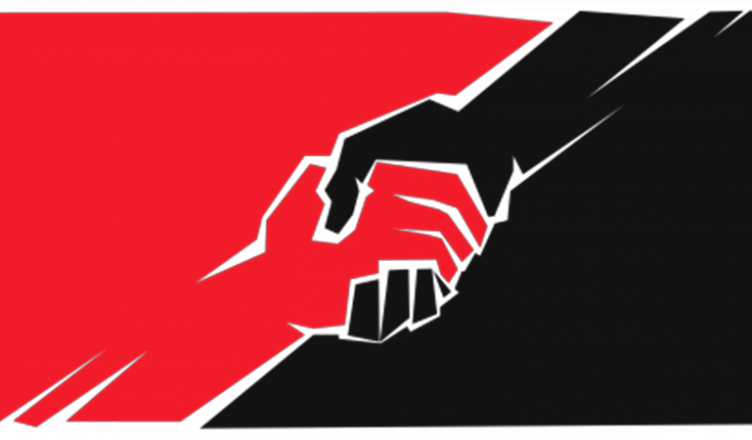 Anarchism – reading guide – Libcom.org’s reading guide on anarchism, anarchist theorists and their development through history. What is anarchism? – Alexander Berkman – Easy to read introduction to ‘Communist Anarchism’. The Conquest of Bread – Peter Kropotkin – Kropotkin’s classic work on how an anarchist-communist society could function. Anarchy and “Scientific” Communism – Luigi Fabbri – a response to a Bolshevik mischaracterisation of anarchism, Fabbri argues for anarchism as anti-state communism. Anarchism and Organisation – Errico Malatesta – classic work on the need of anarchists to organise themselves in relation to the class struggle.